Unlike the sailing trips we have taken in the past, our sail north to New Jersey will be much more demanding, both physically and mentally. As such, Helina will make her way north on land (via car), not by sea. Eric, my dad, and I will complete the sailing trip together over the course of 2 weeks (give or take), while Helina enjoys a mini-vacation with her grandmothers. Although it is completely possible to sail comfortably and safely with young crew members, given the conditions we'll be facing (long days at sea, little sleep, unknown weather conditions, boredom-induced intoxication, etc. ), we thought it would be best if we were not also confronted with entertaining a stir-crazy toddler. And, although sailing is generally very safe, in the extremely unlikely scenario that something bad were to happen to the boat, we're prefer Helina not be there to partake in the grim festivities. We are, of course, taking our own safety seriously as well. 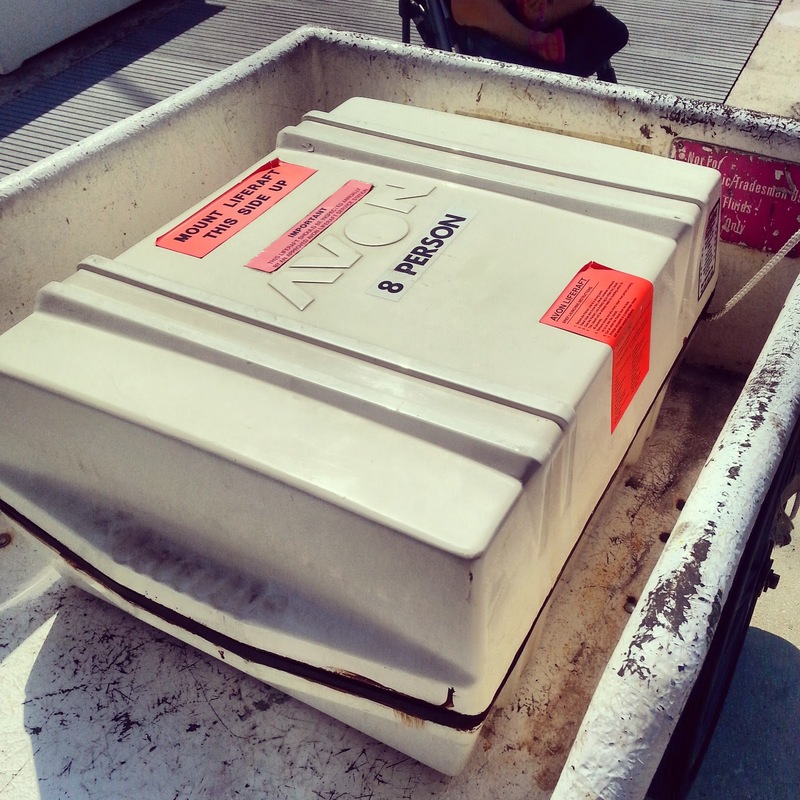 The other weekend, we hauled our 8-person life raft off to be serviced (unpacked, tested, etc., etc., and repacked). Although we don't anticipate our life raft seeing any action during the trip, knowing it is there (and in good working condition) gives us peace of mind.